Does Your Group Need More Storage Space? Do you volunteer or work for a group that needs more storage? A youth sports team, a church group, or a community group that has stuff and nowhere to put it? Think about a container! Containers are a great way to provide storage where you need it and solve other space issues that may come up while you are busy doing what you do best - keeping your group moving forward! Containers are a great way to keep the stuff you need right where you need it. No more dragging stuff from home every week, or stuff taking over volunteer's garages. You don't have to worry if someone misses an event and they have all "the stuff". You have it all right at the field, in the parking lot or wherever is convenient. If you are collecting items for a charity, team garage sale or other purposes, a container is a great way to keep everything in a safe, central location. Containers can also be converted into concession stands. Instead of having to assign someone to bring treats and drinks, why not raise money with a concession stand for parents and spectators? Install a concession stand window that locks up safely between uses. 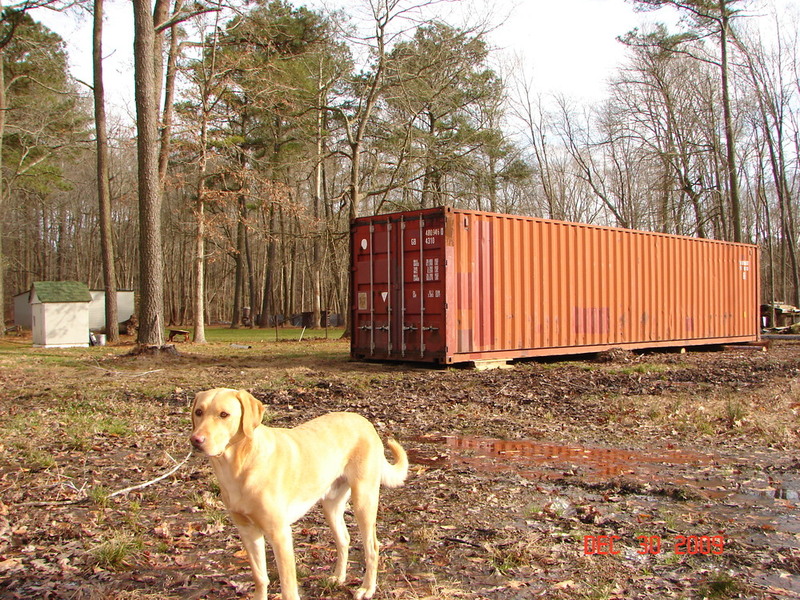 Containers can provide a changing room or work space onsite. If your team places at a place where you don't have access to facilities for changing, managing or any other task you'd like to do outside of the elements. You can easily add on man-doors, windows, partitions, etc. to make the container do more for you. Containers are so flexible and easily tweaked to fit any need your group might have. Call us today at 877-374-5452 to find out how we can help.